When it applies to ship a car, you face a difficult task of choosing the right car shipping service. 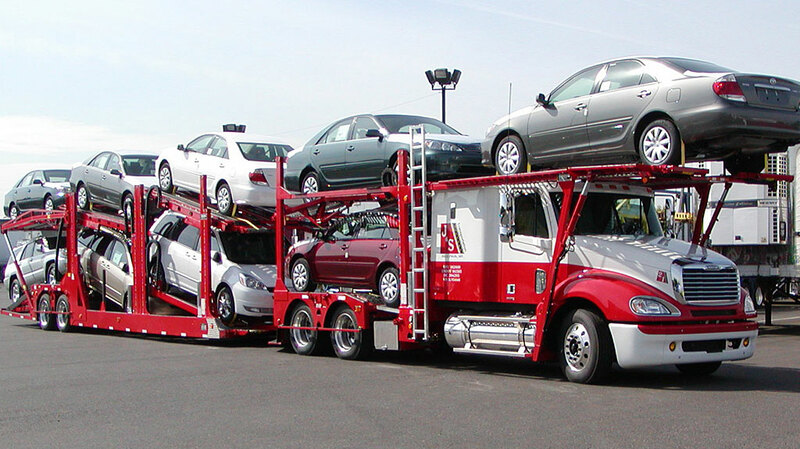 You need to make up your mind what you will choose: an auto transport broker or carrier. It is a daunting task, especially when you know little about difference, pros, and cons between these two options. If you decide to take an advantage of one of those services without needed knowledge, you will not only face misunderstanding but also you will spend money like water. It is where this article comes in handy. Moreover, this article will provide you with all the pros and cons of auto transport broker and carrier which you need to know. What Is In Common Between Car Carriers and Brokers? As you know, carriers provide customers with the shipping service due to the trucks as well as handle loading, delivery, and unloading of the vehicle. And, it may seem that everything you need is to find a good carrier, but it is not enough. You need to find a carrier with the certain schedule that will cater to your time demands. And often it occurs to be the most difficult part. So, car transportation brokers contract with the accessible carriers in order to connect them to those people who are looking for shipping services. Moreover, brokers do their best to meet almost all your shipping needs. Direct connection. When you work with a carrier, you are always in the loop. You know what is going on and where your car is. However, if you work with a broker, most likely you will listen to much falsehood. Of course, brokers always pick up the phones but they do not always tell the truth about the shipping. A constant price. If you are required one cost, you will be not obliged to pay more. This is a great advantage of working with a carrier. You will be not demanded to pay more money, even after a showing up with your car. Carriers nonetheless keep one price the consumers pay for. When you are dealing with a broker, the broker’s mind may change several times. Not so important. You are not as an important customer as you would like to be. It is so because carriers are more focused on the work shipment with brokers/dealers. In their whole scheme of things and everyday routine, your business isn’t very important to them. Not adjust to you. Carriers rarely match up customers’ time demands because they have own scheme of things. It is your own deal to adjust to the chosen carrier. Communication. As we’ve already mentioned, you communicate directly with the carrier, however, the driver is not always able to pick up the phone. That’s why you will not be always aware of the situation during car shipping. Repairs require much time. In case, something happens to the truck, you are forced to wait until it gets repaired. It may last for a week or even more. Available seven days a week. Most car transportation brokers are in touch 7 days a week in order to provide the customer with car shipping service whenever they need. A variety of options. As it was mentioned, carriers do not provide ordinary customers with needed attention and do not try to cater to all your time needs. Carriers pay much attention to operating with brokers. Brokers’ job is to meet your needs directly and find the suitable truck schedule for you. Brokers are interested to satisfy their customers. So, car transportation brokers contract with the accessible carriers in order to connect them to those people who are looking for shipping services. Valuable industry knowledge. If a broker runs the business for a long time, he knows what carriers are scams and what is not. A good broker has a list of various carries, which he can rely on. No long-term repairs. If something occurs to a truck, a broker must have a plan B. If the truck breaks down, the broker finds another truck to ship your car in order to avert you from a long-term delay. You are not always at the priority. If you need to have your automobile shipped, no one broker will provide you with much attention. You will be not at their priority. Brokers are more interested in operating with dealership clients and customers who need to ship more than one vehicle. Liars make the best promises. It occurs very often, brokers lie their consumers that there is a truck breaking down or something else, while your car is not scheduled. Usually, they make up different stories in order to buy some more time for finding a suitable truck. As it was written above, it is a daunting task to find a truck that will meet your time demands. And brokers lie in order to avert changing your mind and looking for another broker. Money Spinner. At first, you will be required a certain sum of money to cover the whole service but you should immediately pay attention to the hidden fees for such things as insurance, fuel surcharges, and door to door service. If you do not do so, you will be required to pay some more money to cover those fees. Of course, our hints may not help you so much. However, they will help you to save you some money. Try to agree with the broker the whole price as soon as possible. This article is aimed to help you to make up your mind when you need to choose between auto transport broker and carrier. Due to all those pros and cons, you will make a right decision and choose the one, which will cater to your demands. Of course, a car carrier and broker have their pros and cons. Thus, you need to think about these two options and choose the one, which suits you the most.